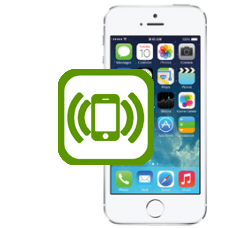 If your iPhone 5s no longer buzzes when the vibrate option is enabled in the setting menu or the iPhone 5s vibration is weak or makes a grinding noise when vibrating then the iPhone 5s vibrate unit will need to be replaced. Allow our expert technicians to repair yours, just order this in house repair. If you choose not to opt for our Express Repair 24 Hour Fast Track Service our normal repair turnaround times are 2 - 4 working days. We always aim to complete repairs as fast as possible. This is an in-house Apple iPhone 5s vibrate repair service, when ordering this service you are required to ship your iPhone into our repair centre for works to be undertaken.